H.H. 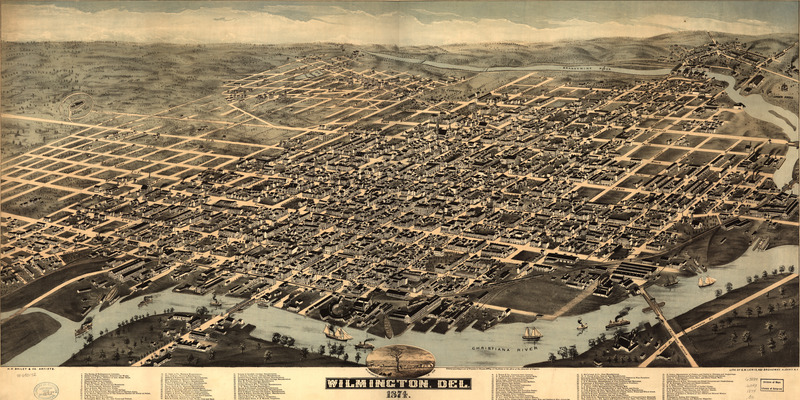 Bailey's birdseye map of Wilmington, Delaware, in 1874. Birdseye Map of Wilmington, Del. Author: H.H. Bailey and Co.
My boy H.H. Bailey has made a handsome map in this one, of Wilmington, Delaware [gmap]. Again, I think there might be an attribution error. Those windows look awfully familiar. 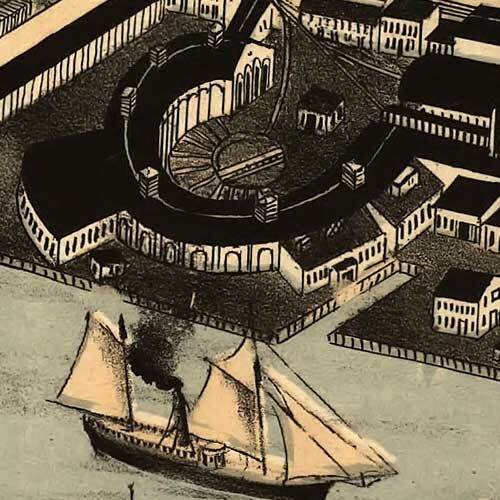 For more maps and images from this period in the region's history, visit the Delaware Historcial Society.